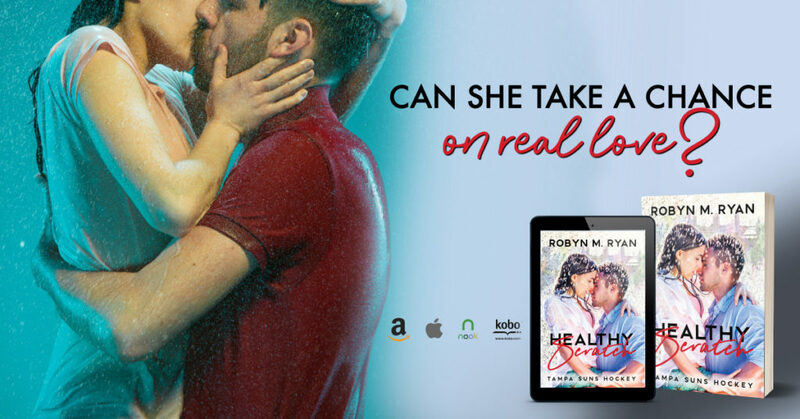 Healthy Scratch by Robyn M. Ryan is the hockey romance you’ve been waiting for! The Clearing the Ice hockey trilogy includes This Piece of My Heart (nominated for the 2016 Summer Indie Books awards), This Piece of My Soul, (2017 Readers Choice and Summer Indie Book Awards nominees), and This Piece of Our Being(2018). Besides writing, her passions include following NASCAR and the New York Rangers, and splitting time between homes in Atlanta and Palm Coast. Posted on 14/03/2019, in Authors & Books, Blitz, Blurb, Buy Links, Currently Reading, New Releases, Teaser and tagged @LWoodsPR, @RobynMRyan. Bookmark the permalink. Leave a comment.